I've had a life-long appreciation for public libraries. I remember being pulled in a wagon down the sidewalk from our house to the library when I was probably 4 or 5 years old. One of my first jobs was at a library working as a page (as in, person who shelves books, not an actual book page). My dad's second career was as a reference librarian. And I enjoyed working at the library in high school so much that I worked at my seminary's library later on while a student there. Since having kids, I've gained an entirely new love for libraries. My daughter and I make a trip every Monday to our own library, where she not only chooses a new batch of books to read, but she also takes time to play with the toys that they have set out for kids' enjoyment. Sometimes she plays with others, sometimes she prefers being by herself. But every week she asks if we're going, and every week I'm pleased to say that we are. As always we took our weekly trip this past Monday. It was as busy as I've ever seen it, and of course not everyone was strictly there to browse the shelves. On that particular day, there were grandparents watching grandkids, children working on summer reading goals, a day camp using the community room, tutors giving lessons, people preparing for tests, and a group from a special needs center helping re-shelve items. The thing is, libraries are about much more than books. They are free public spaces used for a variety of purposes. They're a vital community asset for accessing resources or gathering or even just resting, whether people choose to take advantage of them or not. And every once in a while, an article like what recently appeared on Forbes' website pops up questioning the usefulness of libraries. The author of this piece even tried to make the case that they should be replaced by Amazon stores. Enough people pushed back against the idea to cause the article to be taken down. Clearly, many more people love libraries than that person realized. This author was of the mindset that libraries' main purpose is making books available for people to read, which ignored the many other things that most libraries offer on a typical week or the ways community members find them worthwhile, a small sample of which I offered above. It might be more accurate to say that a library's purpose is community access to information, which includes books but also includes classes, audio/visual items, genealogy, discussion groups, guidelines for tests like GEDs or for citizenship, and space for groups to gather. Books are one method, but not the only one. And so this brings me around to the church. It may vary from person to person, but much like thinking a library is mainly about borrowing books, many may view the church's purpose in terms of one specific function that it offers. One may argue that a church's purpose is to offer a quality Sunday worship service. This will cause the church to pour its energy and resources into everything that that involves from music to preaching to the A/V system to the upkeep of the sanctuary. And it may bring detractors who argue that they can sit at home and do something on their own instead. One may argue that a church's purpose is as a gathering place for members and/or the community. This will cause the church to become preoccupied with maintaining its building, as well as try to protect it from groups that they think will abuse it (which may go against its perceived purpose). And detractors might argue that the congregation is too insulated and is actually ignoring the community. One may argue that a church's purpose is mission and service and outreach. This will cause the church to think either locally or globally as to how it can help others either financially or through face to face contact. Detractors may claim that by doing so it is ignoring its theological grounding. As with the author of the Forbes piece pointing to Amazon as an alternative book source, others may point to Youtube, the YMCA, and Habitat for Humanity as offering the same things that a church does, if one begins with the assumption that its main purpose are the things mentioned above. 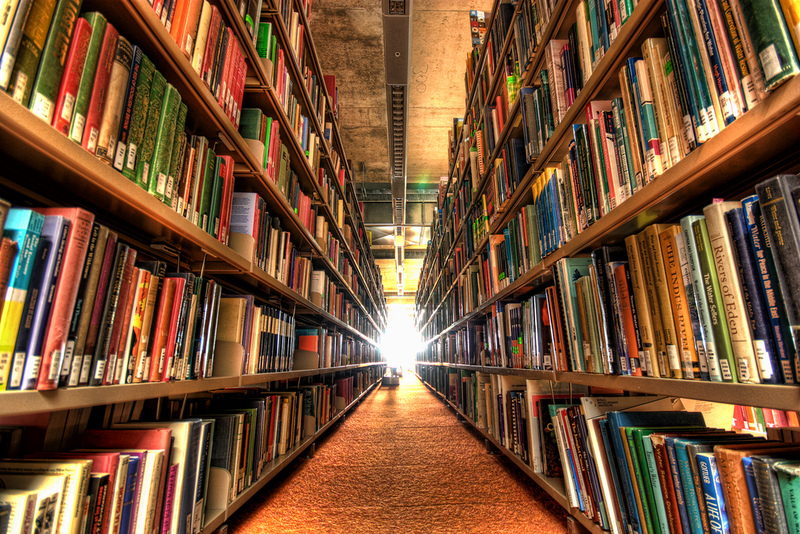 Much like a library's core purpose--of which books are one manifestation--is access to information, a church's core purpose has more to do with growing disciples, of which worship, its building, service, and education are specific outgrowths. Individual churches excel in some of these particulars more than others, and is their particular way of responding to and living out that purpose where they are. Churches may even partner with other organizations that already do what they want to do, in order to live out their purpose with greater quality. Sometimes the church needs to remember that it's meant for more than its particulars. If a church went back to examine its root purpose, what might it decide to do differently?